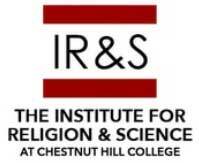 Register your members for the IRAS Summer Conferences at the IRAS Member/Partner/ Sponsor Rate of $225 – a 30% discount on the normal conference rate of $325. Draw the attention of your members to the 2016 IRAS conference as an event that may be of interest to them and in which you are a Partner. We assume this will be by electronic means and in a manner that fits with your normal way of communicating with your members. Point out to your members that Star Island is offering a 30% discount on room/board to first timers to the island. See: http://starisland.org/registration/discounts/ This discount is $300+. Please note that as an organization you have no financial obligation for the Conference. Therefore, there is no financial risk to you. The financial risks will be borne by IRAS. List your organization as the Sponsor of one of the major presentations of the conference, if you invest $4,000 USD or more. Commit to investing an amount determined by you of $500 USD or more. Note that we have a few major presentations that will be named for those who invest $4,000 USD or more. Draw the attention of your members to the 2016 IRAS conference as an event that may be of interest to them and in which you are a Sponsor. We assume this will be by electronic means and in a manner that fits with your normal way of communicating with your members. 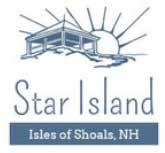 Point out to your members that Star Island is offering a 30% discount on room/board to first timers to the island. See: http://starisland.org/registration/discounts/ This offer amounts to a $300 - $400 saving.